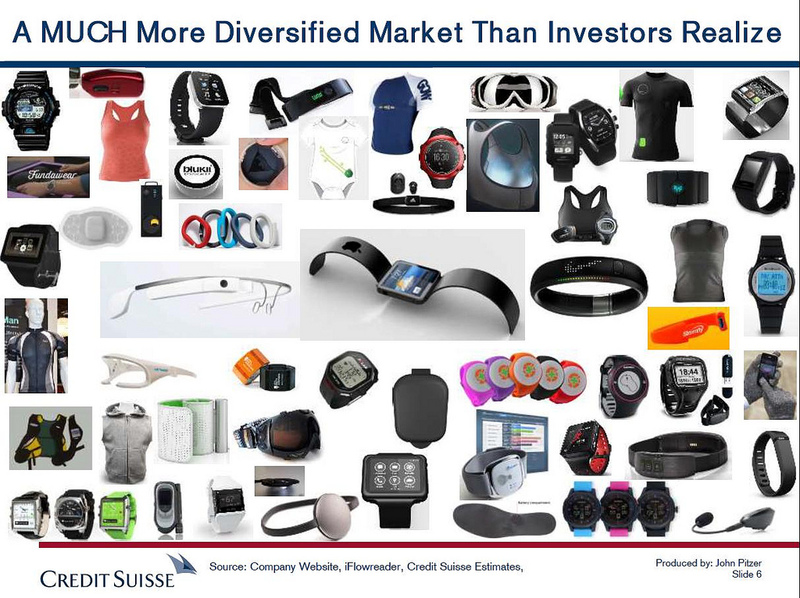 “The next big thing” is the rise of sophisticated wearable technology, such as smart watches, and other accessories, according to Credit Suisse semiconductor analysts, Fortune reports. 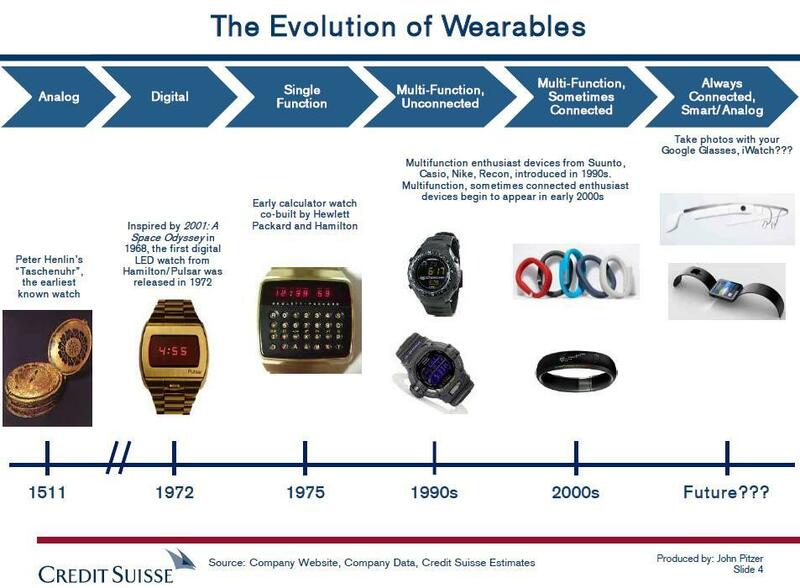 The wearables market is perhaps $3 billion to $5 billion today, rising to perhaps $30 billion to $50 billion over the next three to five years, the analysts forecast, adding that there may be upward of 15% of smartphone owners who end up buying a wearable, the authors opine, for perhaps 6% share of the total global electronics market. The theory is that smartphones are going to be the hub connecting a proliferation of small, wireless devices that will become increasingly popular as software improves, component prices fall and new business uses emerge, says Fortune.